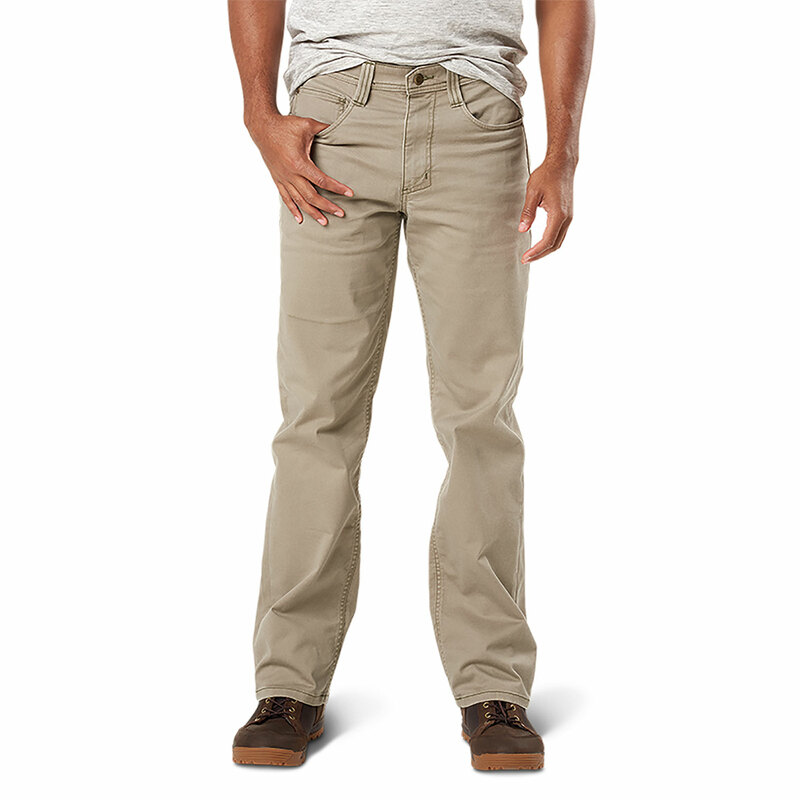 5.11 Defender Flex Straight Pants combine comfort, style and tactical performance. Constructed from stretch-blend cavalry twill with a fitted waistband, these pants are perfect for everything from off-duty wear, a day at the range or covert ops. Traditional five pockets design, as well as dual hidden hip pockets. Other features include a button top fly and a locking YKK® zipper.